← [EVENT REVIEW] Kang Haneul’s 1st Showcase In Singapore – A rising star with triple threat quality! Having just celebrated their 3rd anniversary on Tuesday, this band has come a long way in the local scene. 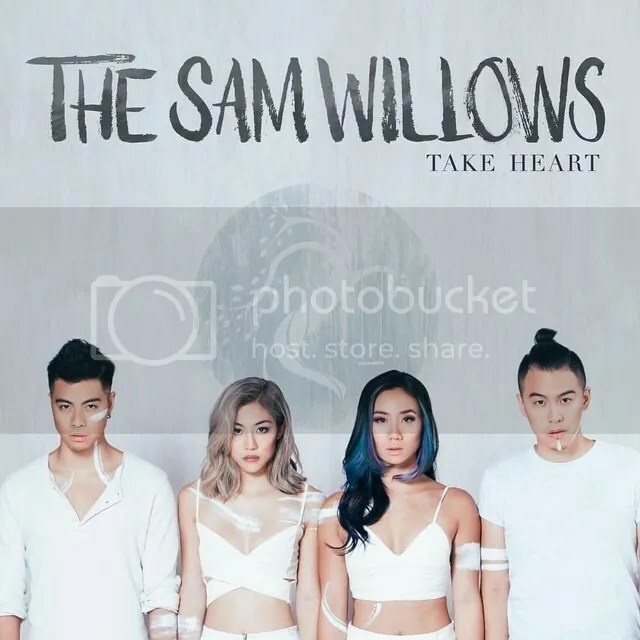 Recently, The Sam Willows was nominated for the Best Southeast Asia Act Award 2015 in the MTV’s EMAs. As if that is not impressive enough, the band was Gibson’s Artist of the Month in October 2012, 987FM’s Rising Star in January 2013), winners of the m:idea Youth Choice Award in 2013 and 2014 in the band category and won Best Local Music Act for the City Nomad Awards 2015. 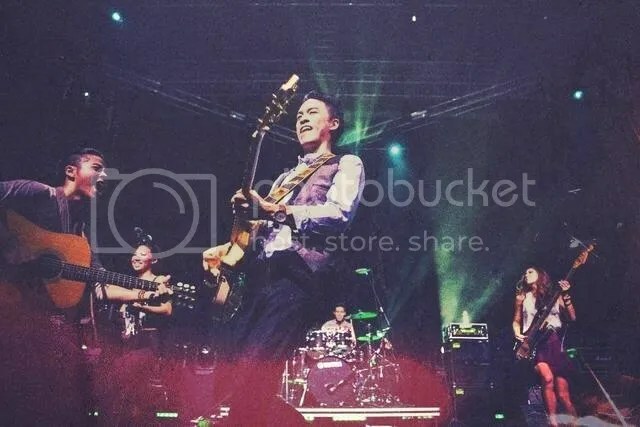 Ever since they broke into the local scene in 2012, Ben, Narelle, Sandra and Jon have released an EP and performed at several international music festival and conferences. Personally, I have been following the band since 2013 after being impressed with their vocals during their performance at Under the Stars. Last Friday marks the day the band released their debut album, Take Heart. Having interviewed a few performers, we always get feedback that when signed to a label, their creativity will get compromised and they have less control over their music. However, that is not the case for The Sam Willows. Signed to Sony Music Singapore, the band feels fortunate and grateful. “They really are incredibly helpful and giving us the platform to extend our creativity at a new level,” explained Narelle. Co-written by The Sam Willows and recorded and produced in Sweden with Swedish producer. Harry Sommerdahl, Take Heart is a compilation of what the band has gone through over the past four years. When first debuted, the band is known for their acoustic and and folk country sound. Staying grounded to their roots, this album still infuses that in it even though, it is a pop album. “A pop album can range from a multiple genre hence we still infuse our old sounds like folksy, acoustic and yet grow and evolve as band,” explained Ben. Describing their debut album similar to giving birth to a child, the band is excited yet has some insecurity about it. “What if they don’t like it? Will the album sells?” are some of the questions raised. 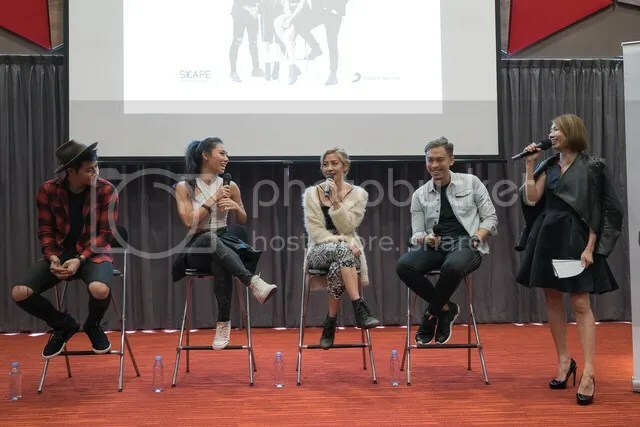 Looking at what they have achieved thus far, I do not think they have to worry much about it since their first single Take Heart peaked at #1 across Asia charts from iTunes, Spotify to CHR radio station 987FM, setting them to be the first Singapore act to hold the record. Adding on, the single has reached more than 1 million streams on Spotify and the Official Music Video for Take Heart has also enjoyed an unprecedented 567,000 views while For Love has garnered over 181,000 views since its release on 2nd October. The Fifth Parlour then had the opportunity to have a quick chat with the band before their release of the album where they shared more about their album and reveal more about their members. Wanna know who is the vain one in the group? Who loves to eat Sandra’s food and who is the naggiest in the band? All will be revealed in this video that will be uploaded on our YouTube tonight! I’m sure you wanna be part of this band just by looking at them, #squadgoals. Be sure to stay connected to them by checking them out on their official website, Twitter, Instagram and Facebook because you do not want to miss their Asia tour announcement as well as their first ever concert in the first quarter of 2016! Take Heart album is available at all digital music stores and music retailers; and for a limited period, at Starbucks and Topshop outlets island-wide. 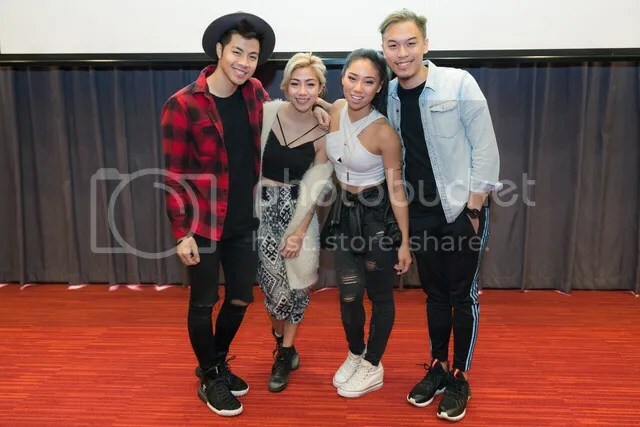 The Fifth Parlour would like to thank The Sam Willows for their time and Sony Music Singapore for coordinating the interview.